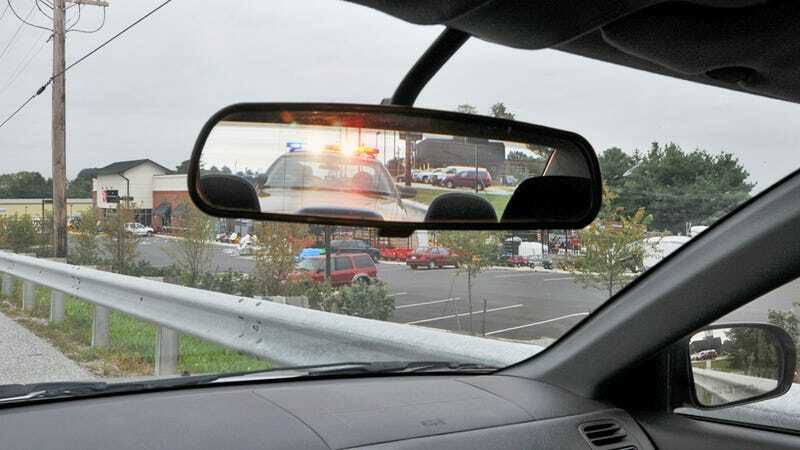 Only about 4% of drivers decide to commit evasive actions when they see a police car turn up near them, and 13% slow down, according to a poll by KBB.com. Based on the responses from nearly 1,000 visitors, most of us just try to keep it steady when the black-and-white cruise by. Getting all jumpy on the brake or the accelerator would seem to only arouse suspicion, which is fine as long as you're well-groomed for your mugshot.